Due to planning restrictions, we have made a single storey extension half the width of the existing house, but we have been able to go out by six metres. 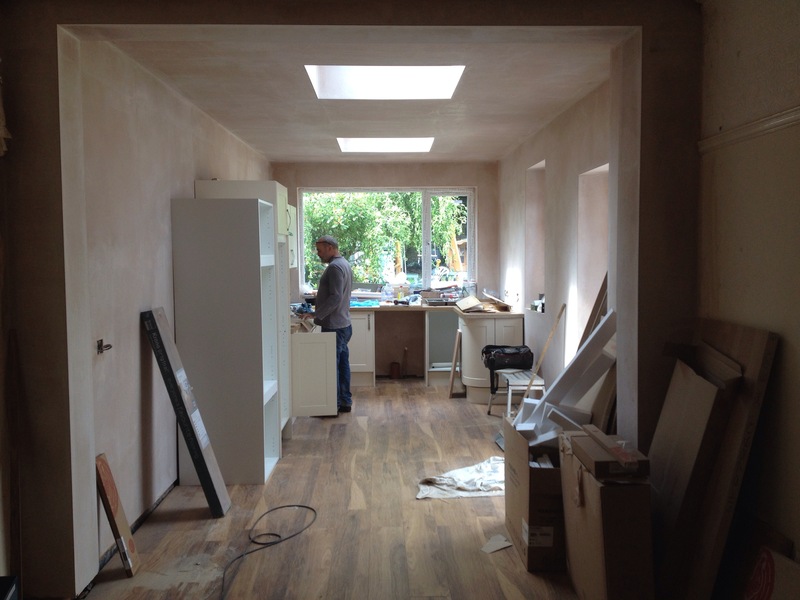 This gives us enough space for a kitchen, small dining area and a little den for the kids to play in where they can be seen. We have a large garden facing window for view and two Velux roof lights give us good daylight penetration all the way back into the house. The old kitchen, which was really rather small, will become a utility room taking the washer, dryer and a good amount if storage out of the new kitchen. We will also have space for a tiny ground floor wc. This part of the build will be complete by the end of next week, the utility room by the end of the week after.